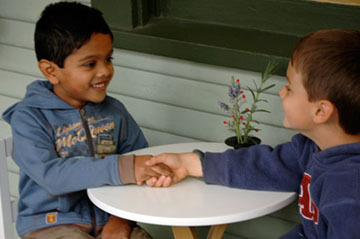 Montessori Learning Center Pre-School of Bayport was established in 2008 by Karen Ray, a 20-year resident of the hamlet. Children who attend are provided with an opportunity to acquire positive self-image, self-discipline, independence, courtesy, the ability to share with others, a firm educational foundation and confidence through developmentally appropriate activities. The beautiful, safe environment is staffed by certified, experienced professionals who strive to instill in students a lifelong love of learning. Children from ages 18 months - 6 years old are welcome! The Teacher in a Montessori Classroom helps the individual child by guiding the child at his or her own pace and gently directs the child's natural energies towards constructive, developmentally appropriate experiences. 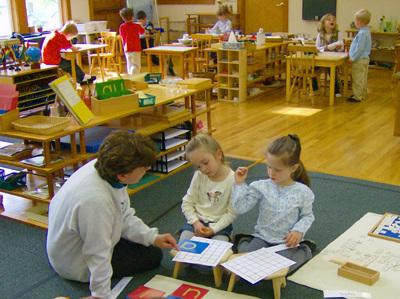 Our staff consists of dedicated, patient, caring, certified Montessori Teachers. We not only nurture the child, but also support the parents by encouraging them to communicate their ideas and concerns. We work as a team to help prepare the child to attain responsibility and self-discipline, simply because there can be no true and lasting happiness in life without it. Come and meet our teachers and see why our children shine. We are currently accepting children, 18mo to 6 years, in our Toddler & Preschool Programs.